Do You Know Your “Core”? Most of us would respond sure, it’s my “abs”. But as Coach Jeremie, explains in this video below, there is A LOT more to Understanding the Core. This is Jeremie’s first experience doing a video, so he’s a little nervous, but we think he did awesome! I am behind the camera asking him some questions and helping him get out of his comfort zone, to help YOU! Maybe you suffer from chronic low back pain, experienced childbirth, a surgery, or a trauma, that has left you feeling like you have to hold back? Coach Jeremie has over 17 years as a Registered Nurse, specifically in Open Heart Surgery, and he understands the complexities of surgery, recovery, and long term implications. Today, he is utilizing that background to help people overcome their limitations through Corrective and Adaptive Exercise, as a Certified Functional Aging Specialist. If you are afraid to exercise or looking to work with a Specialist who truly understands your needs, CLICK HERE , schedule an appointment and let’s talk. We’d love for you to come in, have a conversation, and see if we can help develop a fitness plan for your needs. You were meant to move and you don’t live life sitting down! You shouldn’t have to hold back when it comes to living life or deal with daily pains! Call/Text 330-497-2474 to request an appointment. PS- It doesn’t matter your age…..Jeremie has worked with clients a variety of ages who have experienced abdominal surgery or trauma, to start feeling their best again! PPS- Maybe this doesn’t apply to you, but maybe you know someone who could benefit from this information or opportunity:) Feel free to forward this email to a friend, family member, or co-worker. 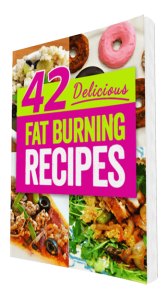 Download the free "42 Delicious Fat Burning Recipes"